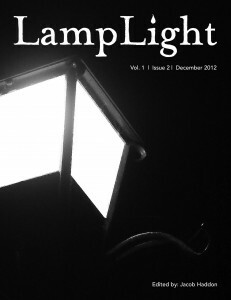 Welcome to the second issue of LampLight. Kelli Owen is our featured artist. In addition to her dark tale, wetalk with her about her craft and advice for new writers. 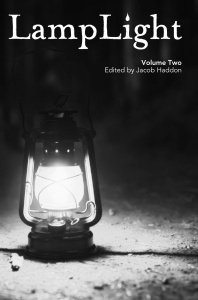 In our second installment of Shadows in the Attic, J.F. Gonzalez talks about “The Year’s Best…” anthologies, and their importance in the genre. Kevin Lucia brings us part 2 of his serial novella, And I Watered It, With Tears. Spell – The loss of a child is an a almost unbearable moment for a young couple. But, as they decide to try again and have another, it is a darker burden that takes its place. And I Watered It, With Tears, Part 2 – Andy and Deyquan just want to pay their electric bill and go home, but today was not going as planned. Trapped inside of an office of the electric company they find themselves searching for answers on what keeps them locked inside with a murderer in the second part of Kevin Lucia’s serial novella. 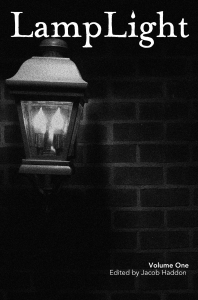 The Year’s Best Horror Stories – In this installment, J.F. Gonzalez takes you not only through the history of “Year’s Best” type anthologies, but talks how they have helped shape and record the history of the genre. Currently available on Smashwords, Kindle, Kobo, iBooks, and Nook. 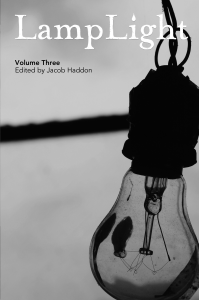 If you missed the first issue, it is available for free.